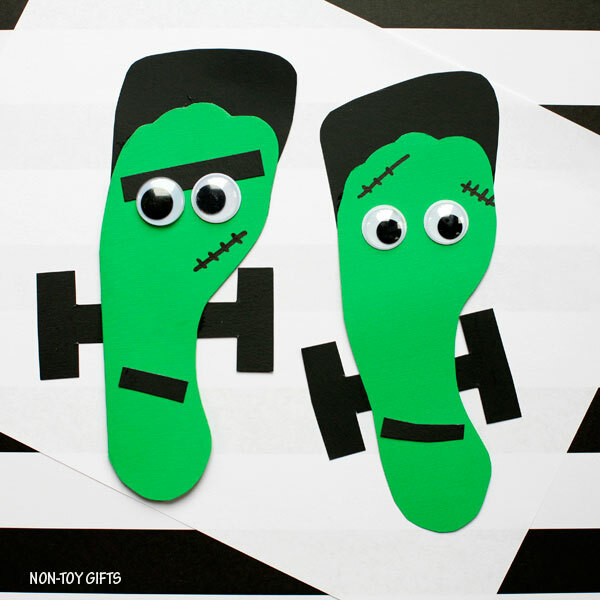 Make a cute Frankenstein footprint card with your kids this Halloween. 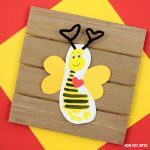 It’s a non-scary craft idea for little ones that makes a nice keepsake to hand out to grandma or grandpa. I took my kids to a museum where they had a Frankenstein’s laboratory featuring a show about the mad scientist who created the monster. 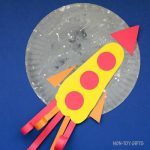 My boys were fascinated and I enjoyed it, too. I watched the Frankenstein movie (the classical black and white version) years ago and had forgotten the details of the story. This has been a good refresher for me. The kids watched the show over and over again. In the meantime, I took my time to walk around the laboratory and read about Mary Shelley, who wrote the story. Did you know she was only 18 years old when she wrote it? I didn’t. Her life story is quite intriguing. 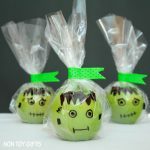 Inspired by our Frankenstein’s laboratory visit we had to come up with a craft. 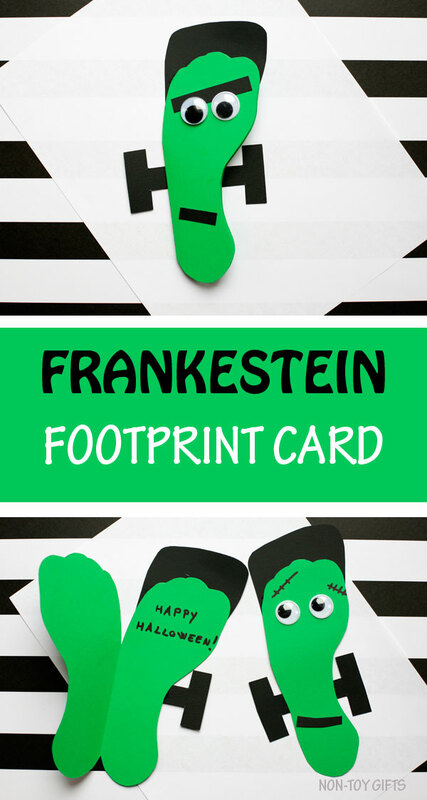 Because we love handprint and footprint crafts, we decided to go for a Frankenstein footprint card. 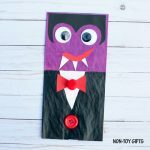 A nice addition to our Halloween crafts and definitely an easy craft for kids. 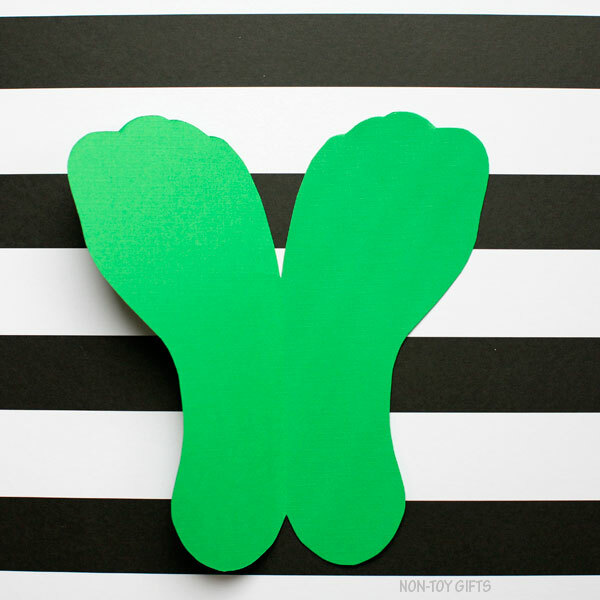 Start by folding a green cardstock paper sheet in half and ask your child to place his left foot onto the paper, next to the fold. 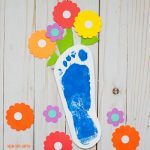 Trace the footprint and cut it out. 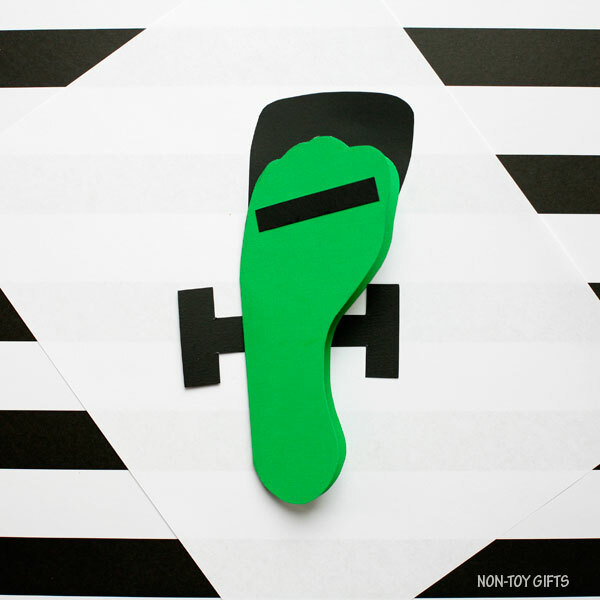 Place the footprint card on black cardstock paper to help you trace the hair and bolts. 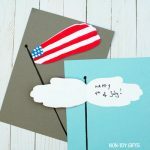 Cut them out and glue them to the back of the card. 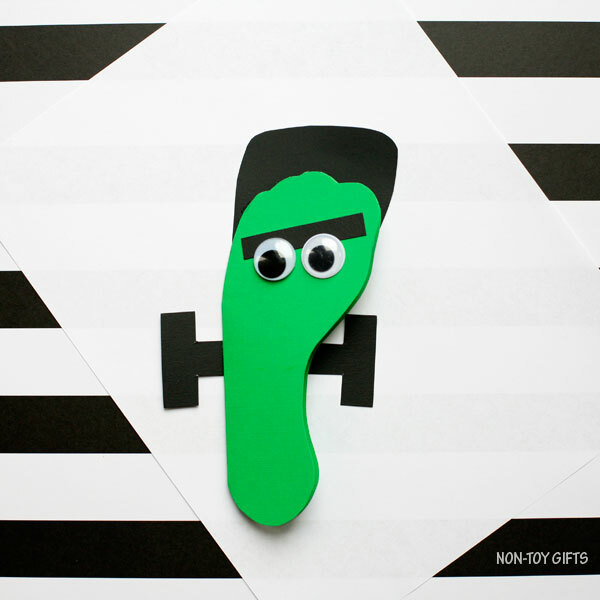 Cut two strips from the black cardstock paper and glue one at the top of the card for the eyebrows. 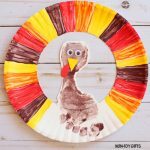 Glue the googly eyes on top of the black eyebrows. Glue the second black paper strip at the bottom of the card. This will be the mouth. 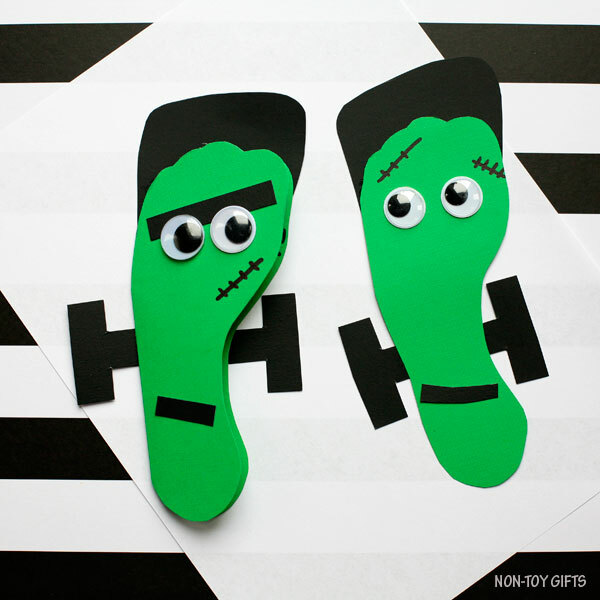 Use a black marker to draw some scars on Frankenstein’s face. You can go for a smiley face or add a nose, too. 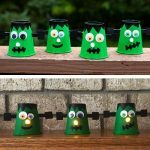 Use a round hole punch for the nose.